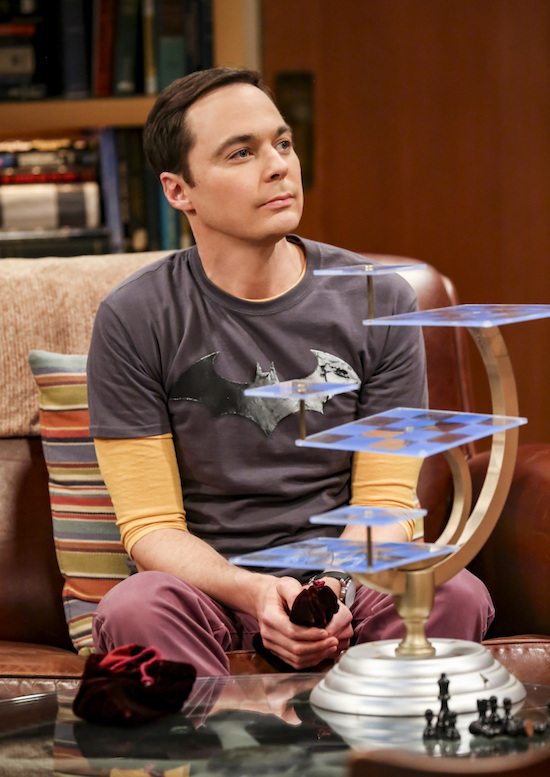 "The Grant Allocation Derivation" -- Pictured: Sheldon Cooper (Jim Parsons). Leonard is caught between a rock and a hard place when he's responsible for distributing extra grant money. Also, Bernadette turns the backyard playhouse into a hideaway from her husband and kids, on THE BIG BANG THEORY, Thursday, Nov. 1 (8:00-8:31 PM, ET/PT) on the CBS Television Network. Photo: Michael Yarish/Warner Bros. Entertainment Inc. ÃÂ© 2018 WBEI. All rights reserved.